The Ciamillo Lekki 8 Brakes helped get this test bike back under the 14-pound mark — and they work well, too. Ted Ciamillo’s claim to fame is the original Zero Gravity Brakeset that due to their extremely low weight became very popular in the early 2000s. At less than 200 grams for the set, they were half the weight of mainstream competitors. Ted truly disrupted the brake category and found a lot of success with weight-conscious consumers snapping up his brakes, myself included. I ended up buying the original OG-05 (186 grams), GSL (230 grams), and Gravitas SL (142 grams) through the years. Unfortunately, as with many tales of overly rapid success, Ted wasn’t able to keep quality and customer service on par as he grew, and the 2008 recession really hit him hard, as he was way over extended. Plenty of clearance for today’s wider rim/tire set-ups. Ted got a lot of feedback about poor customer service and poor product performance, and his brand took a beating. And he doesn’t deny any of this. You can read a detail of his self-explained story here. Ted has since regrouped and rebuild, completely focused on making the best and lightest brake for high performance riding. He calls his new offering the Ciamillo Lekki 8. Lekki means “light” in Polish and “8” means it’s his eighth brake model. So could there be a reinvention, a redemption of sorts? RoadBikeReview tested these new brakes to find out. My older model Cervelo S3 got a new lease on life when I purchased a set of remarkable FSE carbon wheels. These wheels are much wider than the 19mm aluminum rimmed-wheels I was running before and measure at 25.6mm. The wheels are vertically very stiff and the bike now accelerates and handles much better, yet is also more comfortable due to the wide rim, 26mm tires (vs. 23mm) and lower inflation pressure (80 versus 110psi). Remarkable for carbon rims, they also have super impressive braking. In fact, the rims are textured and make a sort of grinding sound, similar to HED’s Turbine Braking and Mavic’s Exalith. Under braking, this mild texture most certainly contributes to their braking performance. I had been using the older (circa 2013) Zero Gravity Gravitas brakes with the new wheels, but they just weren’t up to the task of braking these more modern rims. The brakes were stretched to the max to accommodate the increased width. They would flex and after long descents, there was a build-up of dust caused by the brakes shuddering. Needless to say I was a bit concerned with prolonged downhill braking so I replaced them with a new set of modern SRAM Red brakes. The Reds felt more confident and there wasn’t any brake dust residue. Unfortunately, the Red’s weigh around 100 grams more and it pushed my weight-weenie bike over the magic 14-pound mark. Then I heard about a new brake from Ted Ciamillo that was designed for wider rims. 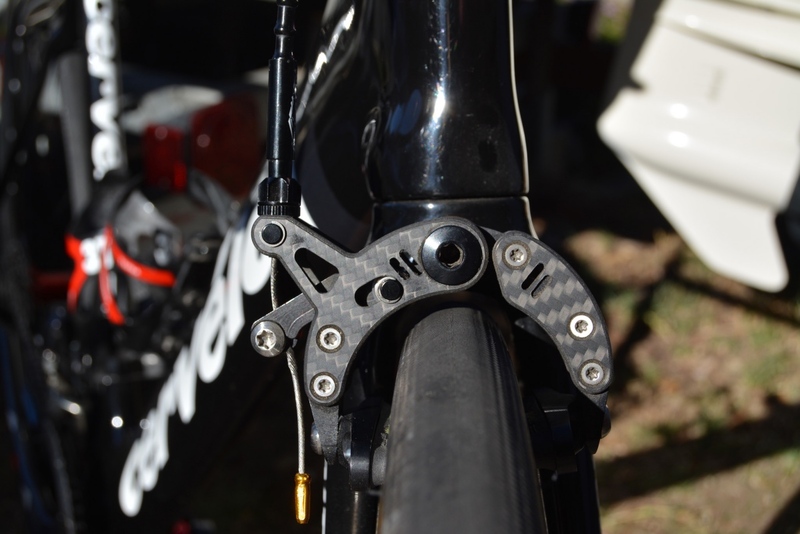 Could these brakes be significantly lighter yet still be as safe and effective as the SRAM offering? Could I get the bike back down below 14 pounds? Ted claims his brakes are the lightest production caliper on the market. 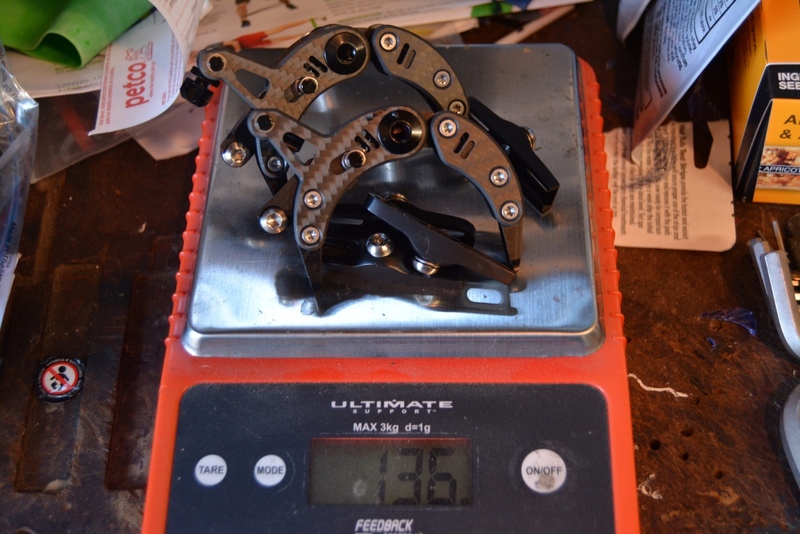 The legendary $1360 THM Fibula brakes have a claimed weight of 120 grams for the set, but does not include padholders in the weight. Ted claimed the new Lekki 8’s are 129 grams for the set, including padholders but not pads. With holders and pads, his set comes in, according to his scale, at 144 grams with pads. The THMs are at 149 grams. However, the set of Lekki 8 brakes I tested were 136 grams without pads and 166 grams with Swiss Stop carbon-specific pads. I don’t have a set of THMs to cross check. 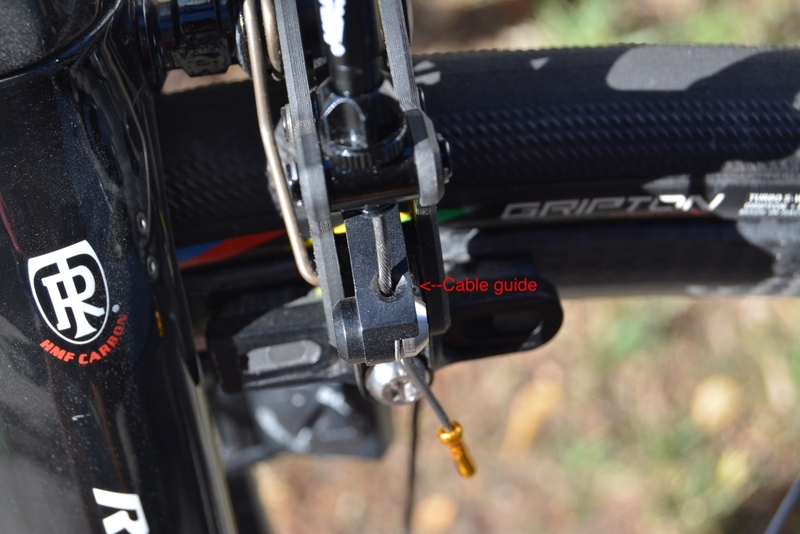 Here’s the cable guide on the Ciamillo Lekki 8 Brakes. So I’m not ready to say they are the absolute lightest, but depending on the sample and how you measure, the Lekki 8 brakes are certainly impressive. For my bike, they shaved 99 grams over the SRAM Reds, which got my bike back down under 14 pounds. Just know that these brakes are challenging to set up, as they require very precise cable length to ensure the brake centers properly. Too much cable length pushes the brakes to the left and too little pulls the brake to the right. To remedy this I used Alligator cables, which have links that can be added or removed to get the precise length. Once the cable length is dialed, the cable adjuster should be used for removing slack in the cable and the MicroCam should be used to set the gap between the pads and the rim. To aid with this a hole is drilled to thread the brake cable through. The lever arm needs to be in the down position to provide the most leverage. If it’s too high, there isn’t enough stroke. 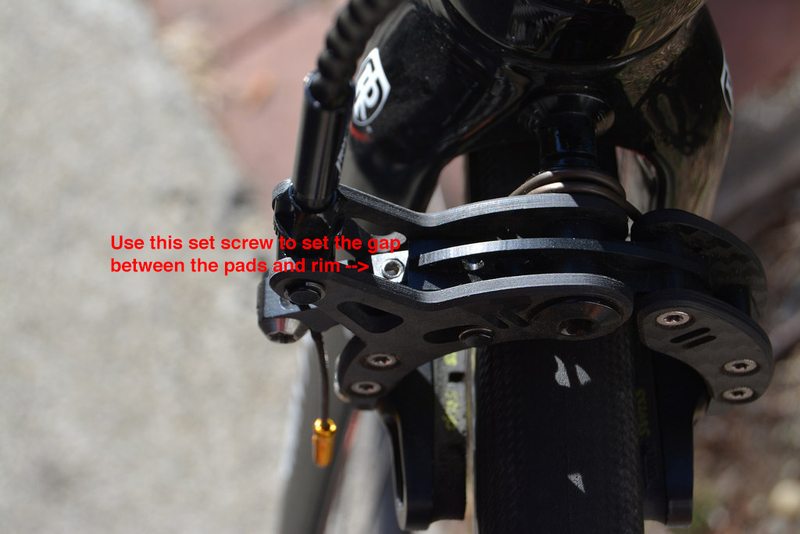 The gap between he pads and rim shouldn’t be adjusted with the cable adjuster, as this can affect the brake cable length and reduce stroke of the cam. Rather there is a 2mm set screw you access looking down on the brake to adjust cable tension. In summary, the Ciamillo Lekki 8 brakes require very small adjustments to dial in just right, sort of like a high-performance car. 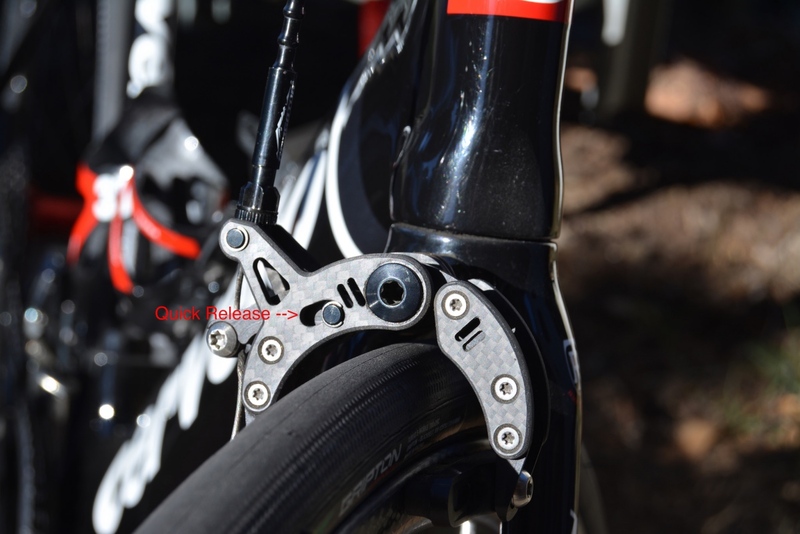 Past Ciamillo Zero Gravity brakes have taken flak for their poor modulation. This is actually by design, claims Ted. He says he designed the new Ciamillo Lekki 8 brakes for racers who need to stop quickly and effectively so they have a sort of binary on/off feel. Personally, I like the hyper fast response but it may not be for everyone. Once installed correctly, I found these brakes to be a pleasure and had no issues with long and steep descents. And no brake pad dust. 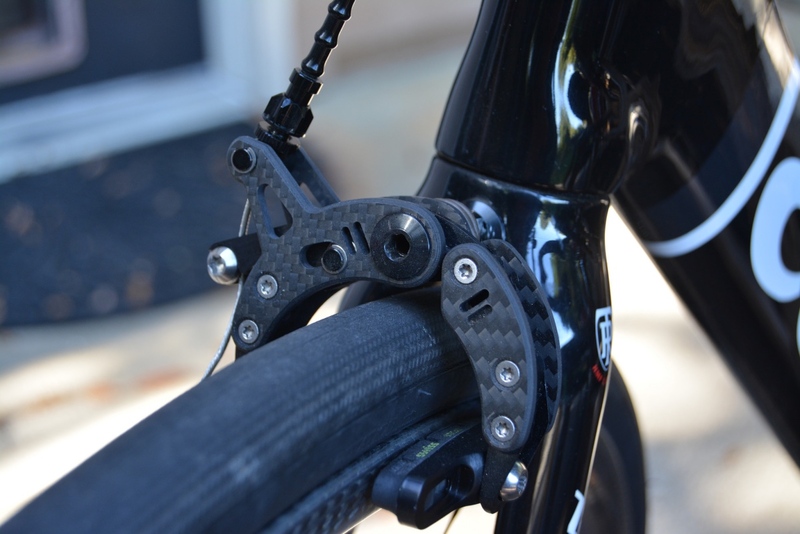 From my experience they brake as safely and confidently as the SRAM Red counterparts. 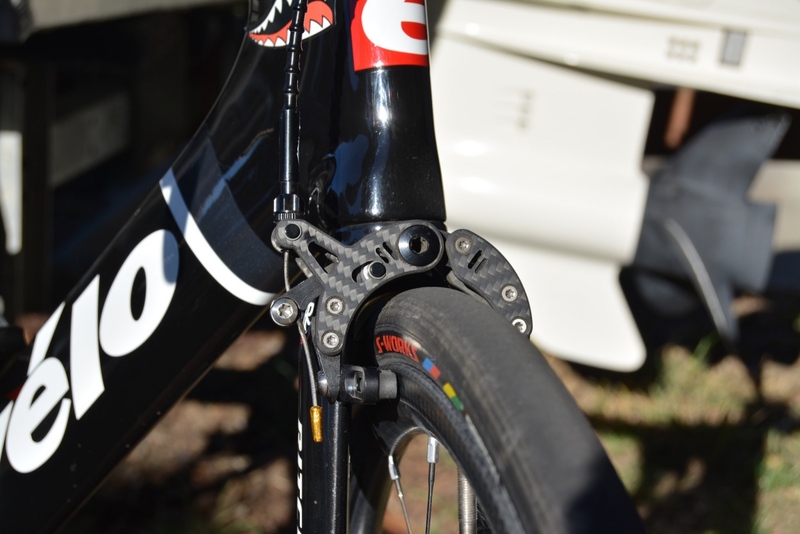 Bottom line, I’m very impressed with the Ciamillo Lekki 8 brakes. They are super light and once fully dialed feel powerful and reliable. Gotta say they look pretty good, too. Thank you for the review. 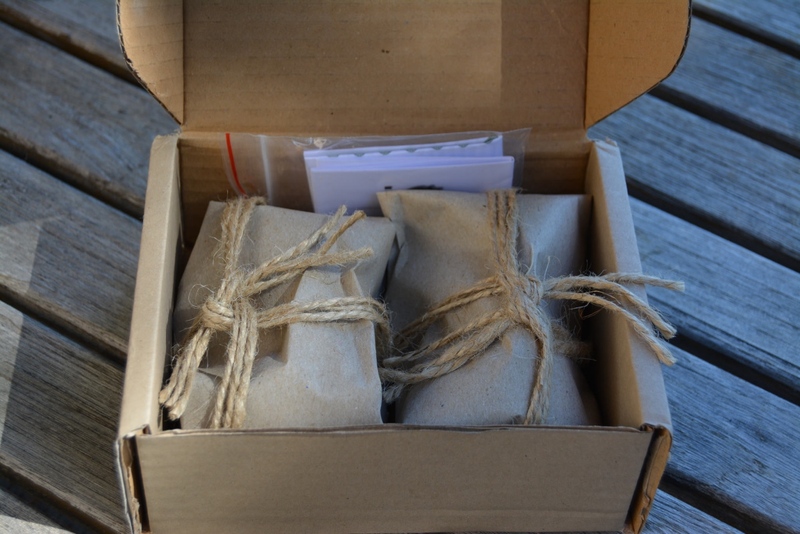 There are two minor errors – one, the claimed weight is 129 for the set and that does include padholders but not pads. 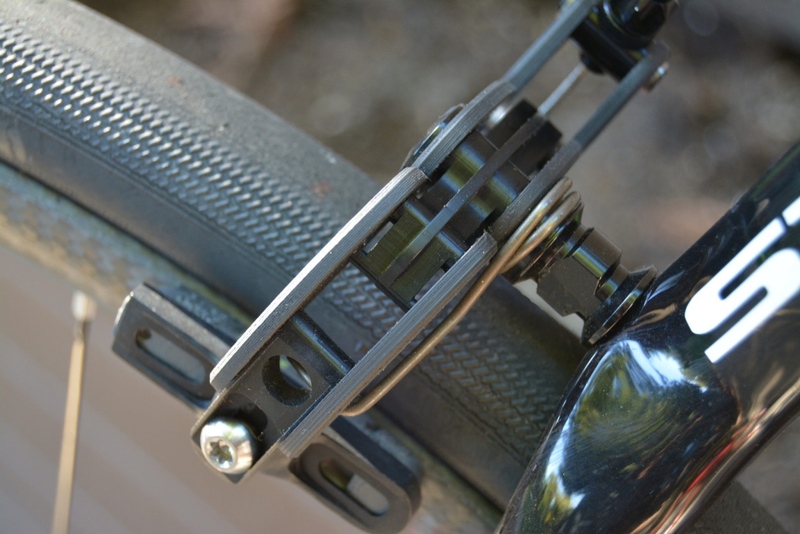 The Fibula claims 120 but it is theirs that does not include padholders in the weight.Two, the cable adjuster should be used for removing slack in the cable and the MicroCam should be used to set the gap between the pads and the rim. Thanks again. Ummmm… Every wheel is vertically stiff. Deflection of wheels under load is a few thousandths. The effect on acceleration of a lighter wheel is minuscule. Make no mistake, the bike has been transformed. These brakes aren’t just beautiful but also are a clear expression of form following function. Got to get a pair as soon as I can get take them out on the fast group rides for an introduction. Bravo, Ted, for some of the great Ciamillo engineering and design. 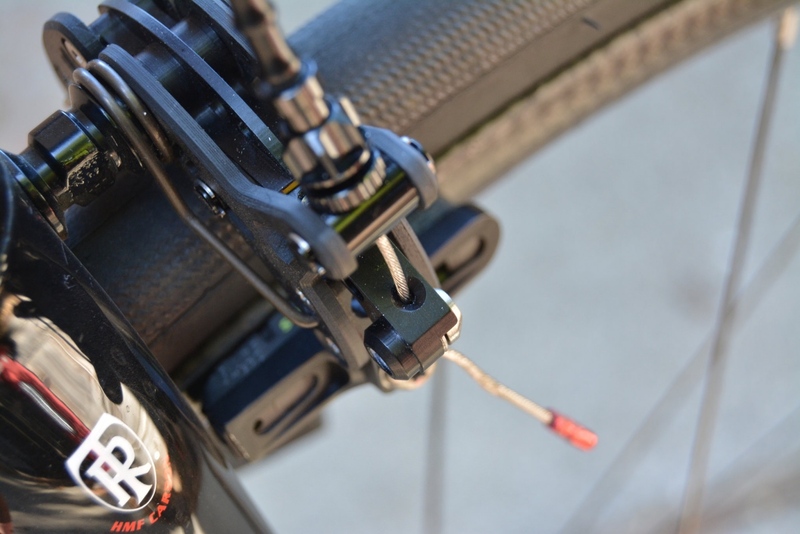 Why short change riders looking for long(er) reach brakes? The md-reach version should be the standard 47-57 mm reach, but instead, they reduced it to 50mm; I want to run my 35mm file tread tires with no rubbing. A bad rep may be a hindrance.